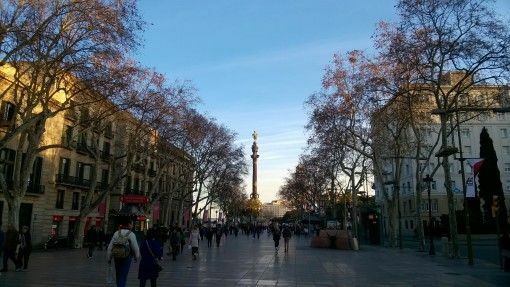 Our first six weeks in Spain were spent road-tripping around the country, exploring the countryside, metropolises and beaches in the north as well as house sitting in Alicante, enjoying a week-long stay in our favourite Spanish destination, Barcelona, and exploring the capital city, Madrid. 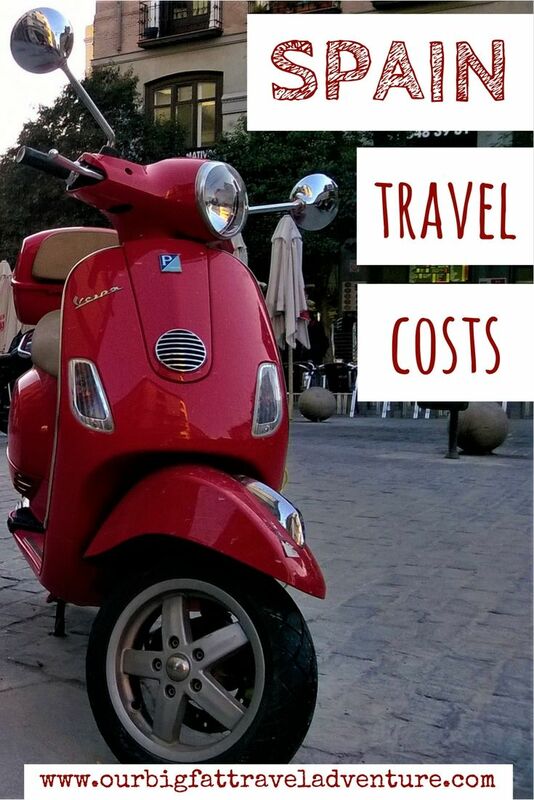 From food and entertainment prices to car hire costs and accommodation rates, here are our Spain travel costs for six weeks. Spanish food prices weren’t as cheap as I expected them to be but we found ways to keep our costs down. Typically we’d visit a large supermarket like Carrefour to buy supplies for breakfast and one other light meal per day; stocking up on bread, fruit, cereal, milk, cheese and snacks. We mostly ate out one meal a day, although while we were house sitting in Alicante we cooked all our meals at home, bar Andrew’s birthday treat. We often took advantage of cheap three-course menus del día at lunch time or head out for tapas in the evening. Overall I haven’t found Spain to be a very vegetarian-friendly country, particularly in the north where meat features heavily in most dishes. 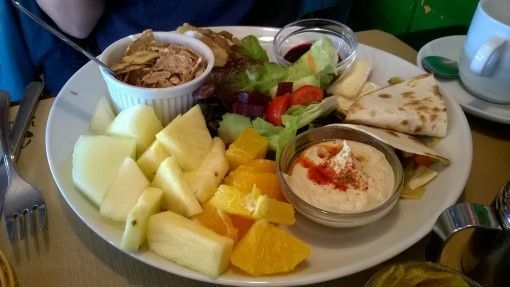 We found the best veggie options were in Barcelona and Madrid, in Barcelona our favourite was Vegetalia, where we enjoyed great value brunch plates for just €9.90 (£7.72). In Madrid we loved visiting Rayen Vegano, Viva Burger and the Hummuseria. We found that hotel bookings in Spain started from around £40 per room but we looked at less expensive places to stay in Spain on our old favourite, Airbnb. We rented rooms in shared houses through the site and paid on average £17.56 per night. 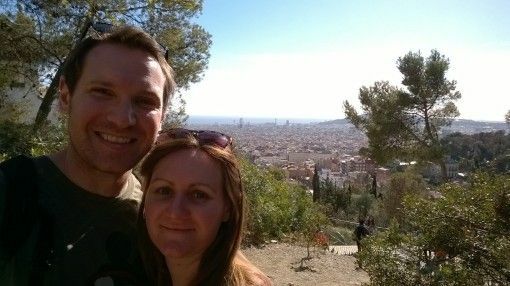 Another way we managed to save money was by house sitting for a week in Alicante, which we loved as we had a beautiful home all to ourselves and a pet cat to cuddle. The accommodation costs below are for 45 days, however, seven of those were spent house sitting for free. As usual in our cost posts, we haven’t included our flight prices in the table below as we know that people will be travelling from different countries when visiting Spain. The cheapest way to get from the UK to Spain is to fly on a budget airline like EasyJet, Ryanair or Flybe; if you book in advance and travel to and from major hubs like London, Madrid or Barcelona you can find flights for as little as £20. We wanted the convenience of travelling from my parents’ place in the south of England so we paid slightly more, £36.20 per person, to fly from Bournemouth to Alicante with Ryanair. Returning to London from Madrid with EasyJet cost us £49.15 per person. 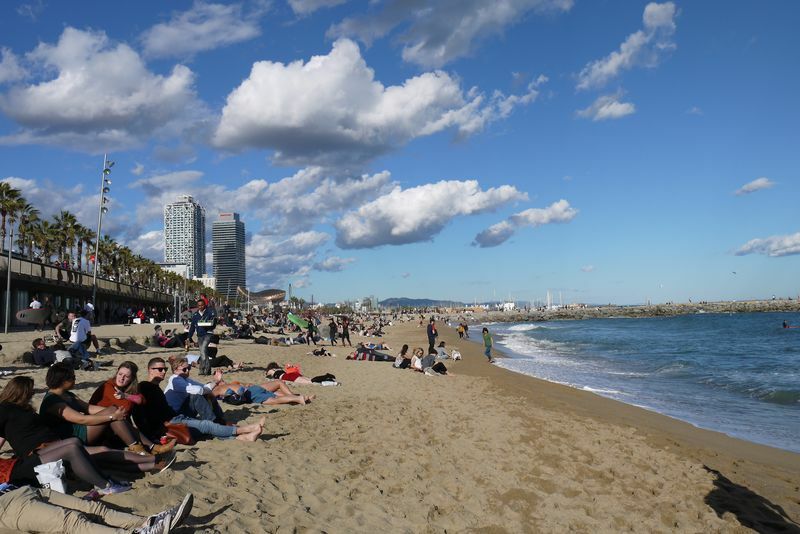 We found an incredibly cheap car rental in Spain from Solmar via a search on Skyscanner. We paid just £55 in advance online to hire a Volkswagen Polo for four weeks. When we arrived to pick up the car, however, we found that we had to pay a ridiculously high charge of €89 (£69.62) for the company to fill the tank with petrol and also had to put a €1,000 deposit down using our travel credit card because we had chosen the cheaper rental policy. 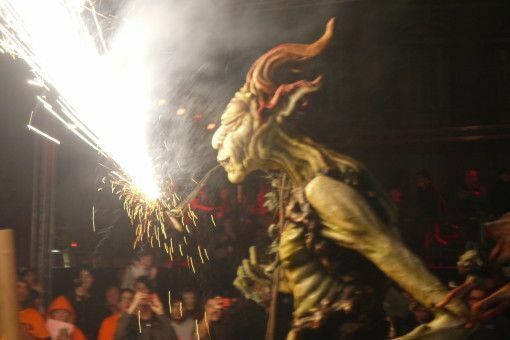 Beware of these things if you plan to rent a car in Spain. Apart from the surprise charges we found that a car was the easiest and cheapest way to travel in Spain; roads were pretty traffic-free and in good condition and fuel was reasonably priced at around €1 (£0.80) per litre. It’s best to avoid toll roads which can be expensive; we paid €17 (£13.25) for travelling for around an hour on one toll road out of Alicante to the Basque Country. In addition to car hire we had to pay for some public transport costs, if you’re taking a trip to Spain and plan to visit Barcelona, pay €9.90 (£7.72) for a T10 metro ticket which gives you 10 rides and is cheaper than purchasing single journeys. We dropped our hire car off in Alicante after four weeks and caught a cheap ALSA bus to Madrid, where we got around on the metro, purchasing 10-trip tickets at a discounted rate of €12.20 (£9.50). 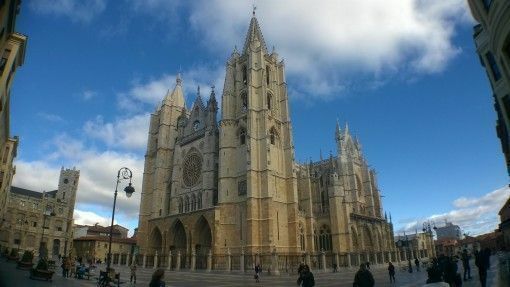 With the exception of a few cathedrals and castles we stuck mostly to free sightseeing activities in Spain and were happy to just wander around cities, check out monuments or visit beaches and the countryside. In Barcelona we paid €22 each (£17.16) to visit the Sagrada Familia, which was the most incredible cathedral I’ve ever seen and well worth the entrance price. 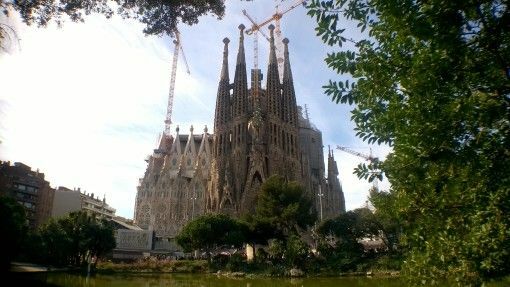 You can save money while sightseeing in Spain by visiting attractions out of hours when they’re free; in Barcelona for example we went to cathedrals first thing in the morning. As usual we had some miscellaneous travel costs in Spain including gifts and clothing for interviews for teaching jobs in Madrid. We also had to pay a fee to get our NIE numbers and photocopy some documents. The cost of travel in Spain was higher than we anticipated and we had to work hard to keep our costs down. Had we eaten out just one extra meal a day or stayed in budget hotels rather than rooms on Airbnb our costs would have spiralled out of control. 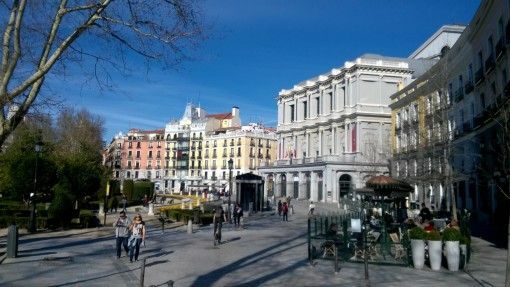 We found that Barcelona and Madrid were the most expensive destinations for us; in particular we found it incredibly hard to find cheap accommodation in Madrid. 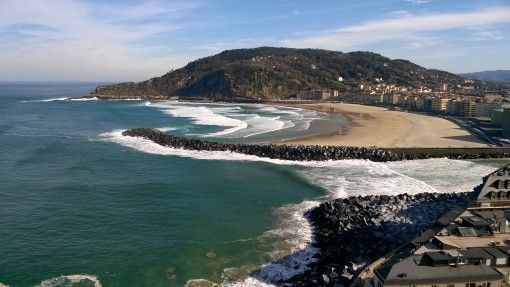 Saying that, we’re pleased with how well we budgeted and feel we experienced a good slice of the country – here are our total Spain travel costs for six weeks. You can find out how much we’ve spent while travelling in other countries on our travel costs page. After exploring Spain for six weeks we rented an apartment in historical Toledo; here’s how much it cost us to live in Toledo for five weeks. It was an awesome house sit Rhonda 🙂 We are definitely looking forward to spending less back in Asia! I think you have done very well with your budget considering Spain can be expensive, in particular Barcelona and Madrid. The house sitting gig was great, staying in such a lovely house and saving money…can’t go wrong with that. Brian and I tried airbnb for the first time this weekend and we loved it? Glad to hear that you had a good first Airbnb experience Gilda; I don’t know how we would have coped money-wise without it in the USA and Spain. We were very lucky to get that lovely house sit too. Spain is expensive but you managed to make it work! We had the same problems with cost as finding a hotel within our budget in Madrid was pretty horrible. Thankfully, I managed to find one just two weeks before we had to leave. Phew! A tip for you or anyone else – If you’re a teacher or a member of the press, entrance to national buildings, galleries and museums were free of charge! I had my Berlin Fashion Week Press Pass with me and that worked wonderfully! Beautiful country of Spain. Yes, you are shared brilliant ideas traveling Spain with fabulous price. 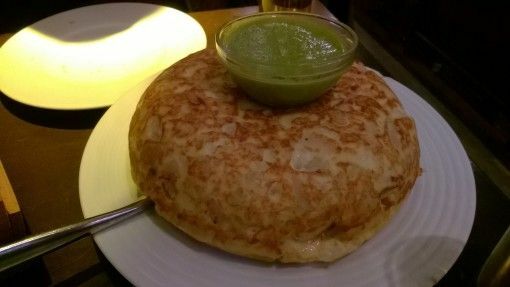 Thanks for sharing this wonderful post with us.